First off, I’ve got a lot of love for Squarespace. It’s clean. It’s easy. Jeff Bridges uses it…and we’ve noticed many of our customers in the creative industry (i.e., graphic artists, interior designers, photographers, etc.) find Squarespace to be a great choice. Squarespace’s photo intensive templates and dreamlike CMS make it ideal for the artsy fartsy. 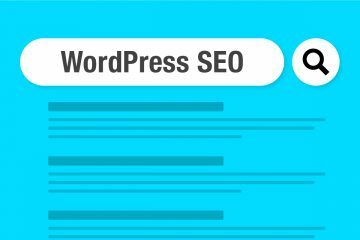 Although beauty and simplicity are important, your business website needs tools to drive traffic and boost sales. Whether you’re in the creative space or not, you might want to think outside the box (or square in this case) and consider a few stellar small business alternatives. 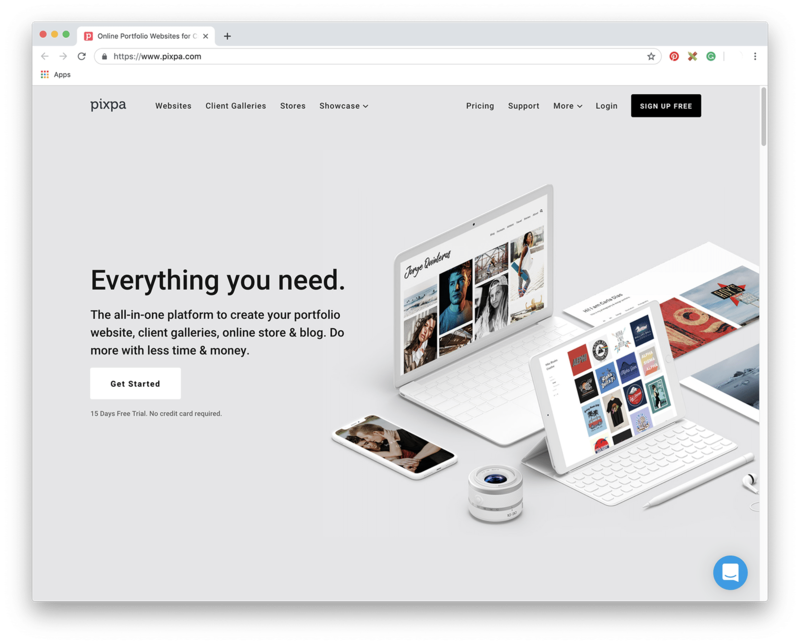 Like Squarespace, Pixpa is a website builder that enables photographers, designers, and creatives to create stunning, professional portfolio websites easily without any coding knowledge. However, it’s Pixpa’s built-in e-commerce tools that set it apart and allow you to set up shop and start selling online. Plans start at just $5 per month and you can try Pixpa free for 15 days. No card details needed. When you are ready, start your subscription with a 30-day money-back guarantee. 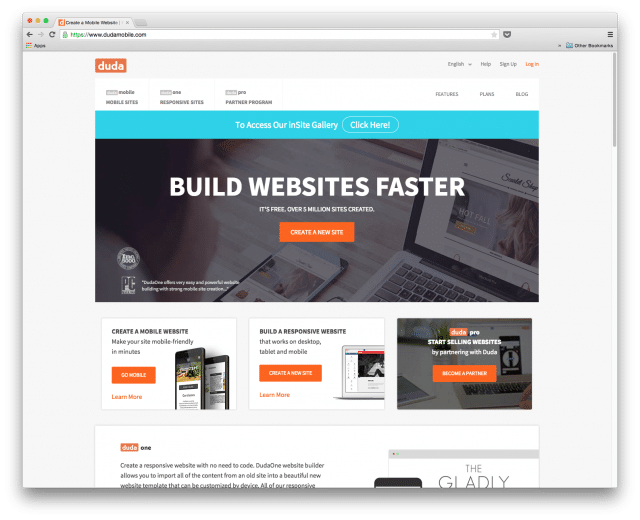 Full-featured website builder platform at a great price. Unlimited images, galleries, pages, blogs and much more. Best in class hosting with SSL. 24/7 live chat and email customer support. You can build a killer mobile friendly website with Duda. 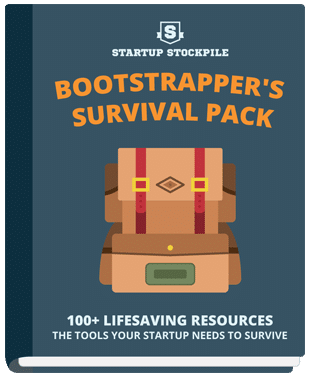 It provides you with an arsenal of tools to boost productivity. 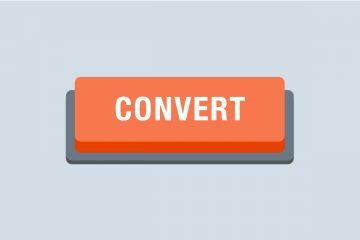 Duda speeds up build-time and reduces the heavy lifting by enabling you to import content from your previous old site. With a drag-and-drop editor, you will not need to code, leaving you free to focus entirely on designing the ideal responsive website. Duda allows you to quickly build beautiful, conversion-driving websites that look great on all devices. You get a constant stream of product updates. You’re provided with ready-made marketing materials. And you get sales strategy guides to keep you on the cutting-edge of your industry. Free trial to help you to decide if it suits your business. No coding required – instant, easy setup. Get a free domain name and free website supported by ads. No need to hire programmers – everything is DIY. Built-in social media marketing tools. It is a website creation company based in South Africa, a brainchild of Vinny Lingham, the pioneer behind innovative digital marketing company Click2Customers, committed to making it easy for you to get your business online. 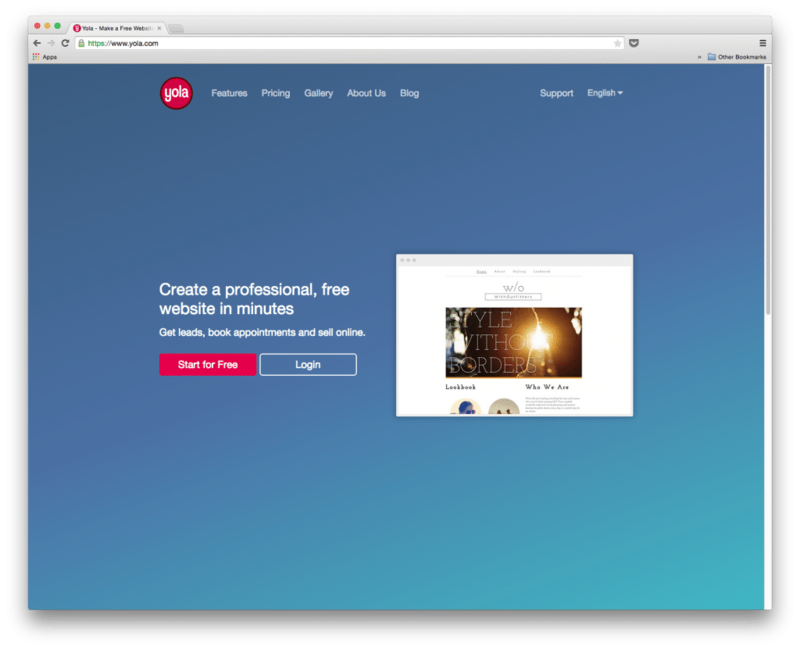 With a site builder that doesn’t require you to download plug-ins or make installations, Yola available in more than six languages works on most browsers and is secure and dependable. With a 30 day money back guarantee on all premiums, Yola offers four packages; an entirely free plan, affordable Basic at $4.17/month, Professional at $8.33/month, and Unlimited at $16.66/month all billed annually or monthly. You can quickly create an online store at only $10/mo. No extra cost when your site generates more traffic. 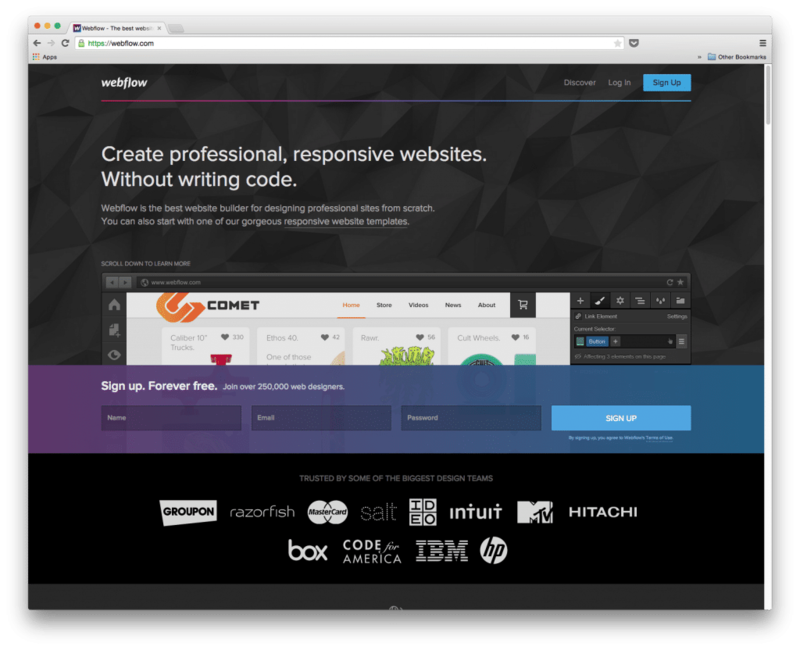 Powerful, easy-to-use website builder with the reliable hosting of about 99.9% uptime. You can opt to pay annually as opposed to monthly. 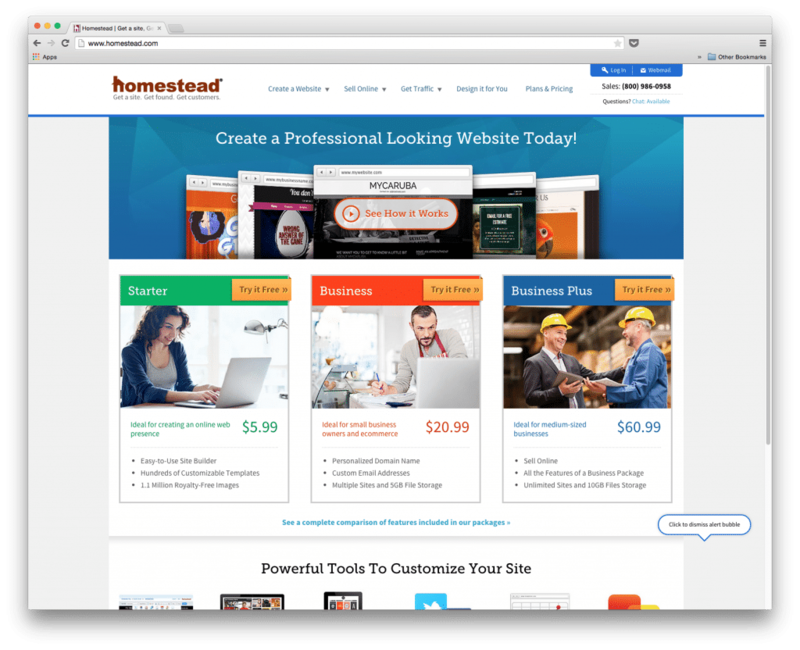 Homestead is a website creation that majors in marketing and hosting business. It offers small business owners a top-notch experience for creating their company presence on the web partnering with technology companies, such as Verizon and Google, to offer their customers similar products and services. Homestead offers three plans – Starter, Business, and Business Plus. Their starter plan is as affordable as $5/ month for the website, $20.99/ month, (website, Domain name, and email) and $60.99/month (full set) respectively. You may try starter for one month free, and you’ll be billed automatically if you don’t cancel the contract. Homestead offers inclusion in online business directories. They offer hundreds of design templates to choose from, as well as integrated e-commerce capabilities. You can choose a plan that suits your business’s particular industry. The plans are as follows: Starter is free. Premium is $4.61/month. Business is $5.38/month and the eCommerce plans are $9.23/month. 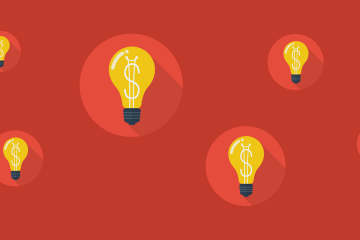 WebsiteBuilder often changes its pricing – so keep an eye out for deals. 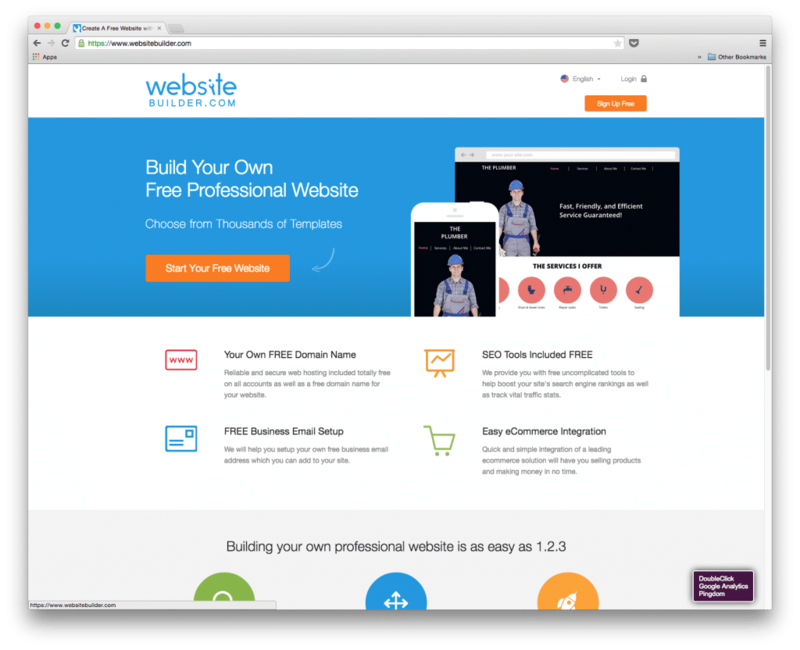 WebsiteBuilder provides you with a free professional business email account. 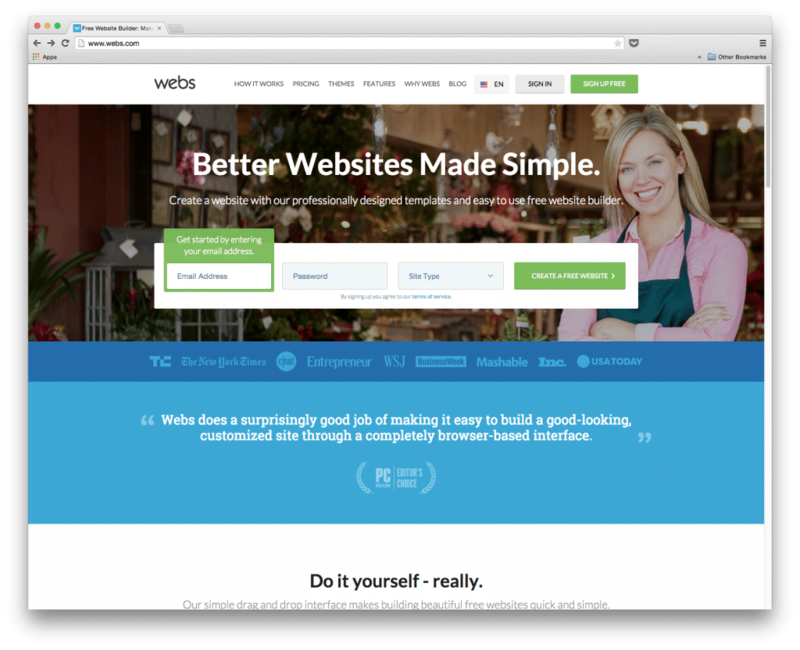 WebsiteBuilder allows includes easy eCommerce integration tools that allow you to sell online. 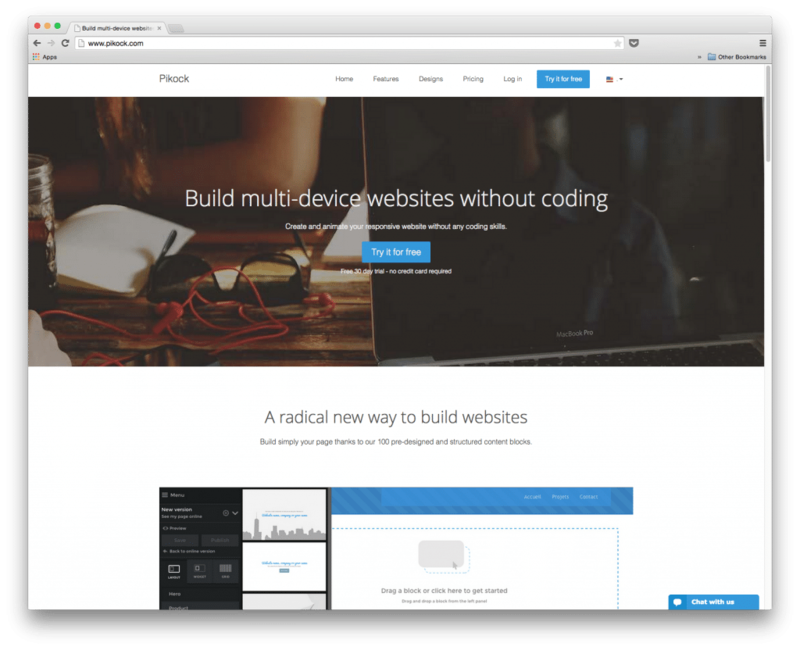 Built for entrepreneurs, Web Flow offers a highly flexible format for building and design custom websites, akin to Photoshop. If you have some design skills it might be exactly what you are looking for. There’s a free version of this Web Flow and a paid version that allows you to scale up and use more robust features. The Public Websites plan offers 50MB of storage and 10 entry forms per month. The Micro ($14 a month), Personal ($16 a month), and Professional ($35 a month) are billed annually and are perfect for freelancers and professionals. If your startup is a collaborative effort or uses remote services, then Web Flows’ Team Plan (starting at $70 a month) are designed for ultimate collaboration in mind. Іf уou dо want to use а template, they offer beautiful ones. Everything you design is done visually wіthоut cumbersome coding. If уоu’rе а coder, уou cаn continue developing уоur sites’ functionality within Web Flow. HTML and CSS tools generate structured elements that you can tweak. Editor’s Note: This article is part of the blog series Grow Your Business brought to you by the marketing team at UniTel Voice, the virtual phone system priced and designed for startups and small business owners.